From local and long distance moving to short- and long-term storage, Mulder’s can meet all of your moving & storage needs. Wondering what your move will cost? 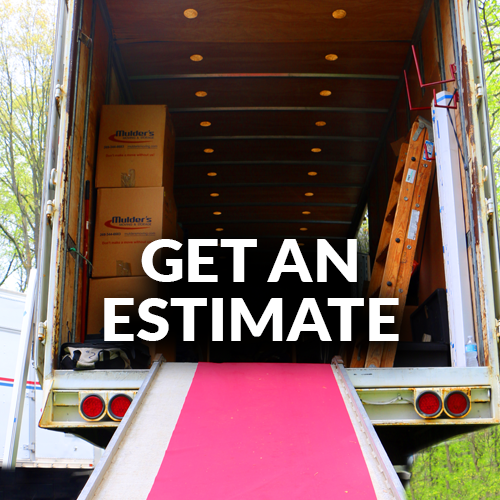 Just answer a few questions, and we’ll get you an estimate. 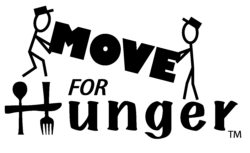 We are bringing modern office systems to Kalamazoo and beyond. Start your quote today! Great service throughout our move. Very professional storage and unload, on this end of our cross-country move to Michigan. These folks are awesome! What a great company to work with. Such energetic and professional men! I will highly recommend them to anyone I hear with a commercial need. 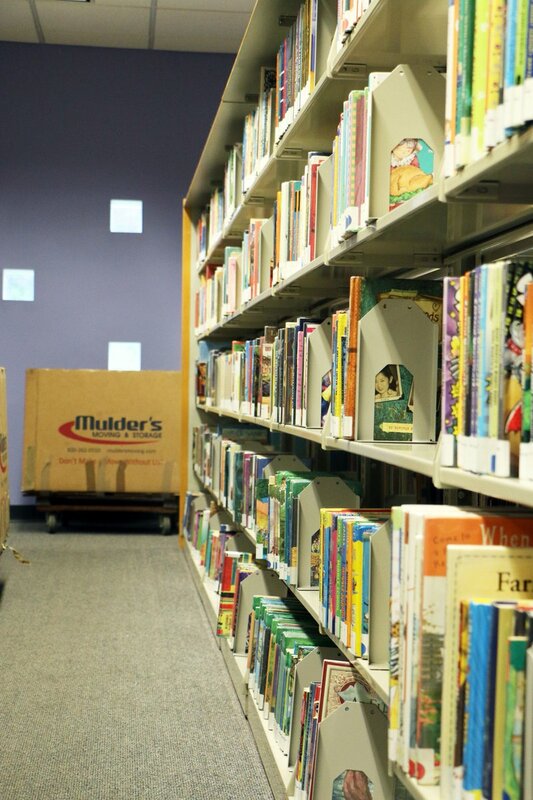 Our library belongings were stored safely and put back in perfect condition and order. I used mulders for the first time today. I only needed my big items moved. Matt and Ray were friendly, professional, and funny. It was a rainy, wet day, and they always had a smile. I highly recommend these two guys. Hard to find people like that. We want to thank the team that moved us on Friday for such a smooth day. The crew was personable, accommodating, and took care of our furniture. From the moment that they arrived at our old house until the last load they moved into our new house, they kept moving. They made me tired just watching them! I am so glad that we hired Mulder’s for our move! What a great team, never a we cannot do that or anything unkind or unprofessional action! They were a top notch bunch of gentleman who realize that moving is stressful and they did whatever they could to minimize this for my husband and myself. 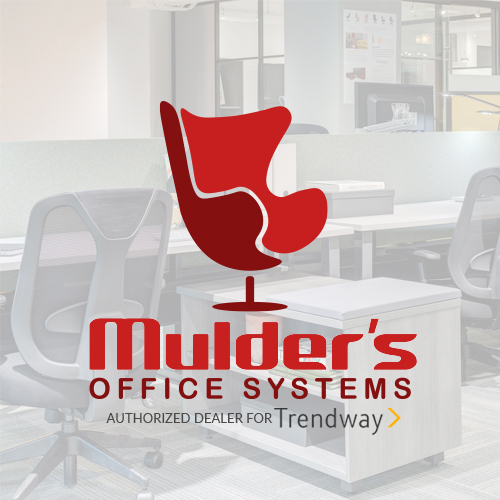 My only negative, I wish we had used them with our first move 6 months earlier when we went with another local company and let’s just say…Mulder’s will ALWAYS be my choice and recommendation going forward! I highly recommend Mulder’s Moving & Storage to anyone and everyone! My experience from Keith who quoted my job(a true gentleman) to Chris who wrapped and packed my china (with special care) to Bryan, James H., Jason, Floyd, & Marty who loaded my furnishings and unloaded into my new home (with care and a “nothing is to hard to make this move for you as easy as possible” attitude)…it was a seamless, professional, and courteous move. This is my 16th move and this move with Mulder’s has definitely been the easiest and most stress free! I will be using Mulder’s Moving & Storage for all future moves and recommending them to family and friends. Thank you very much Gentlemen!! Mulders helped us move from our home and into our new home and also helped us store our stuff while we were in transition and they did a great job for us. Today’s move went extremely well, thanks to the hardworking crew from Mulder’s Moving and Storage. Bryan and Bert were organized, efficient, helpful, fast… and amazing! I highly recommend Mulder’s. FIVE star service! King of Kings Moving Ministries had the great pleasure of unloading a semi trailer from Michigan on 10-30-2018. Everyone from the office to the driver and his helper impressed me with their professionalism and Love of Christ. Mulders Moving starts their day out with a prayer! Very important way to start everyday! Owned by family friends of ours; hired them to move a piano. As far as I can tell, they did a professional job. The movers called me once they had loaded the piano to confirm they have it and asked where I wanted them to hide the house key. All 4 of your staff were careful, competent and genuinely nice to work with. Kudos to you all! I have to see that today’s moving team gets an A+ for professionalism, kindness, strength, etc! I enjoyed working with you throughout the process. I felt you gave us a fair price.The crew was terrific. They were timely, kept us informed of any issues that they discovered, and they were flexible when we changed our plans. There was one misstep by the crew, and I only bring it up in order to compliment them on how it was handled. They took full responsibility, did not make excuses, corrected the situation and it was never repeated. That speaks volumes. We look forward to the opportunity to work with Mulder’s again! I would like to recognize the efforts and professionalism that the employees of Mulder’s Moving and Storage portrayed during our relocation. From the start, there was clear communication and desire to meet our needs. During the move, Mulder’s did an outstanding job and even got the job done faster than the allotted time. Thank you to all of the Mulder’s employees for your support during this difficult relocation. Keith did an excellent job organizing our move through the sister company and communicating with us. 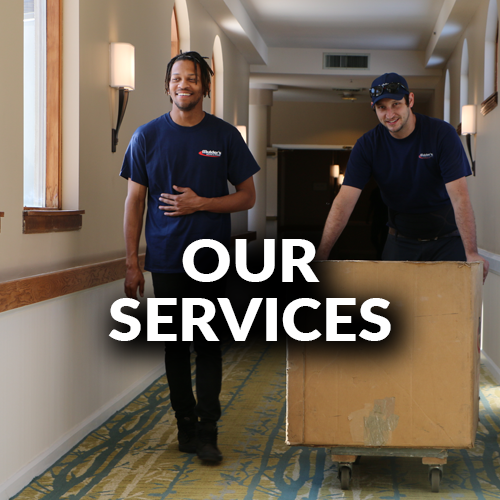 [Our movers] were so helpful to us and made our move run very smoothly. I cannot say enough good things about them and their crew. They were thoughtful, courteous, and efficient from start to finish. They did an excellent job! Thank you so much for all of your help with my move. The guys who did all of the packing and moving were very friendly, very helpful, and very professional. Please let them know how much I appreciated their positive attitude toward what was, to me, a daunting project. Thanks again to the whole Mulder team! Amazing guys at this company. Moved all my stuff which is plenty for just one person and we’re quick, courteous, and respectful of everything… never been so happy with customer service before ever… Warren and John really are the best!!! Would give 10 stars if I could!! We just wanted to let you know how pleased we were with the whole moving process to Friendship Village. The only surprise was the snow storm yesterday! Ron & James did a great job. They were patient, professional and friendly during the whole process even when the truck couldn’t get up the hill at Marion’s and then again when trying to park at Friendship Village. We enjoyed working with them. I also sent an email to Jaqua Realtors recommending them & your company. Thanks again. Quick and prompt. Guys went the extra mile so my disabled mother didn’t have to lift a finger. Some miscommunication about pricing but was fixed more than satisfactorily without any hassle. We used Mulder’s Moving to move our offices. What a great decision on our part! They were timely, polite, efficient, and very careful with all of our belongings. The packaging provided was great–only one suggestion is that the labels could be a bit more removable from the furniture, but it was all good. We especially appreciated that they were willing to take furniture from one of our offices to a third location and bring back furniture from that location to our new office. What a great help! We highly recommend Mulder’s. Your crew was professional and got the job done as quickly as possible. I also want to give a shout out to Jason, who went out of his way to assure everything went as well as expected. Jason is one of the most polite men I have ever worked with. Thank you Mulder’s Moving crew! Jim, Ryan and Nick made our move to the East Coast so easy! They were with us from start to finish! So glad that Faye was at Satori Salon & Spa in Jones, MI when I emailed them for a possible recommendation! Mulder’s Moving and Storage is the best! I cannot tell you enough good things about Brian and RJ today. We ran into a weird dynamic at the storage unit we were moving out of, and their cool, calm, professional manner was exemplary. It was a delight to work with them, and knowing they had my (and Southwest Michigan First’s) best interest at heart was extremely reassuring. I want to thank you for your recent services in moving and storing our library belongings. What a pleasure it was to work with your crew each day of the move. There were never any concerns and I appreciated their diligence and energy as they worked so hard. Many thanks to the crew for returning everything to its proper place, for the care in protecting our antique furniture, and for the willingness to put everything back in proper order. Your company is to be commended, and you will be highly recommended. Thank you for your recent in-kind donation of moving services, valued at $1,085.80, to Kalamazoo Habitat for Humanity. Your donation is greatly appreciated not only by Habitat, but also the patterned family who benefitted from your generosity. The team in Michigan from Keith at Mulder’s [Moving] to the driver, Joe – they were excellent at advising us about the process, finding ways to make the move more efficient and bringing value to our experience. We appreciate all of the hard work that they put in to pack, drive, and unload. Thank you! We had a few items to be moved from Michigan to Florida. We contacted the local agent, Mulder’s in Kalamazoo.They are excellent and kept us informed on all aspects of the move. On behalf of all of the staff and parishioners here at [this] church, we wanted to thank you for helping us finish our renovation project. Your teams were on time, efficient, and all-around awesome. You made our project go smoothly and we are immensely grateful. Thank you so much for making this move for my parents so smooth. You have two wonderful, friendly, funny and enjoyable employees: Jason and Bryan. We can’t thank them enough. They made the move fun for my sister and I as we moved our folks […]. Bryan and Jason are very good at what they do. […] If a moving company is needed in our future, your company will be the first called. Thanks again! Excellent experience. Mulder’s was able to help with our move on short notice. They were friendly, helpful and quick! Excellent customer service AND was the most affordable place I could find in the area. Thank you! We would like to note that the two gentleman (Bryan & Bert) that did the work yesterday were very professional, hardworking and efficient and provided excellent customer service! Helped with moving items to another place the owner and mover was great to work with would recommend to anyone. Chris and the crew did an outstanding job for Kendrick Stationers with their quick tear down and reset of workstations for ST USA this past week. Great work as always, guys! I’ve been using Mulder’s for set up jobs for over 20 years and they ALWAYS get the job done! We are a proud partner of Move For Hunger, one of the nation’s largest year-round service programs. Our movers offer to pick up the unwanted, non-perishable food items from those who are moving and deliver it to their local food banks. We are a proud partner of Habitat for Humanity. If you have furniture that you don’t want to take with you, we are happy to haul it to Habitat for Humanity at your request! We are a proud partner of Goodwill. Moving is a great time to pair down on your clothes, blankets, and other items. If you would like to donate any of these items, we are happy to take it to Goodwill on your behalf! We are a proud partner! If you schedule a move with us and want to donate, be sure to let us know and we are happy to help! April showers can cause many rainy move days - read about how we protect your home and possessions! Tomorrow is the first day of spring! Time to consider spring cleaning - which can actually save you money when you go to move! Read how in our blog! Thank you, Jeannie Cleaning, for letting us help!! Can't stand stepping in water with your socks? Us either.